Create your own beautiful gift certificates in a flash! 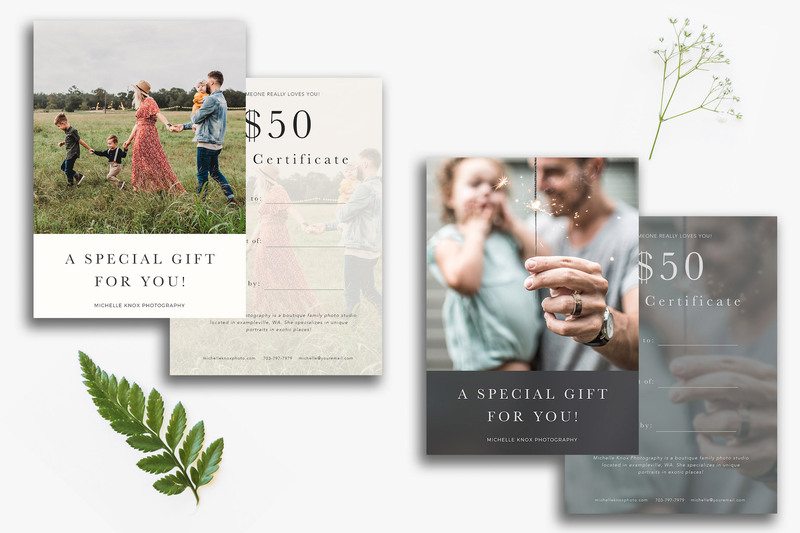 Looking for the perfect photography gift certificate template? 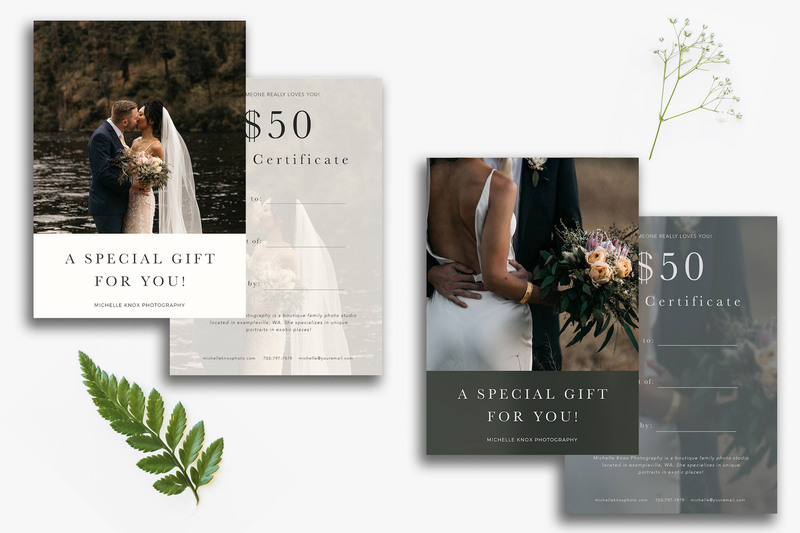 Here's a gorgeous photographer gift certificate template that will stun your clients. 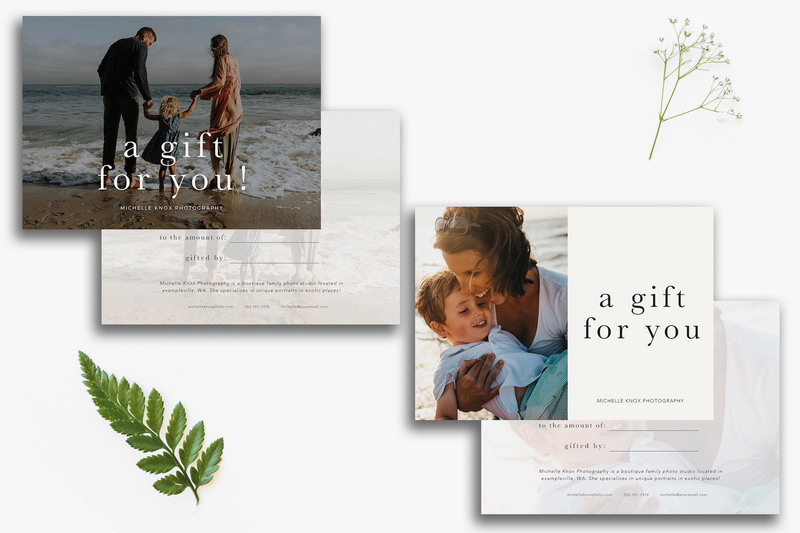 Your search for the ideal photographer gift card design is over. 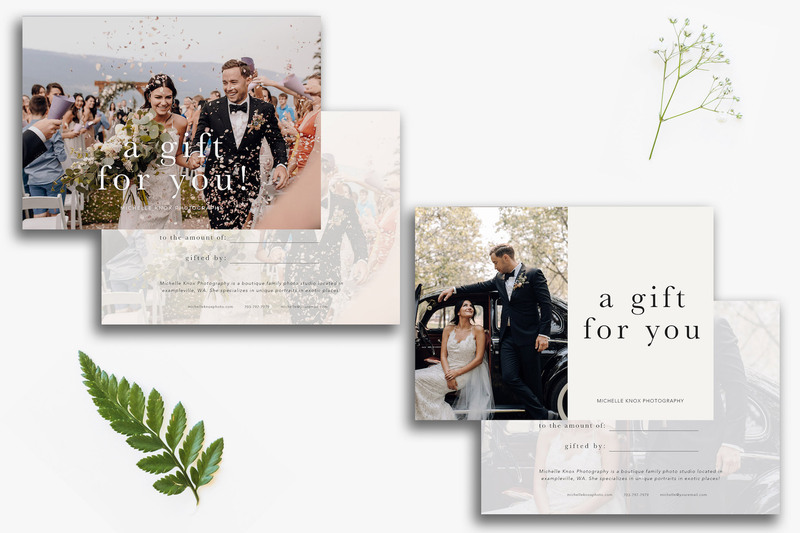 This is the perfect template for photographers looking to boost your branding and book more sessions, bundled into an easy to edit photoshop template. 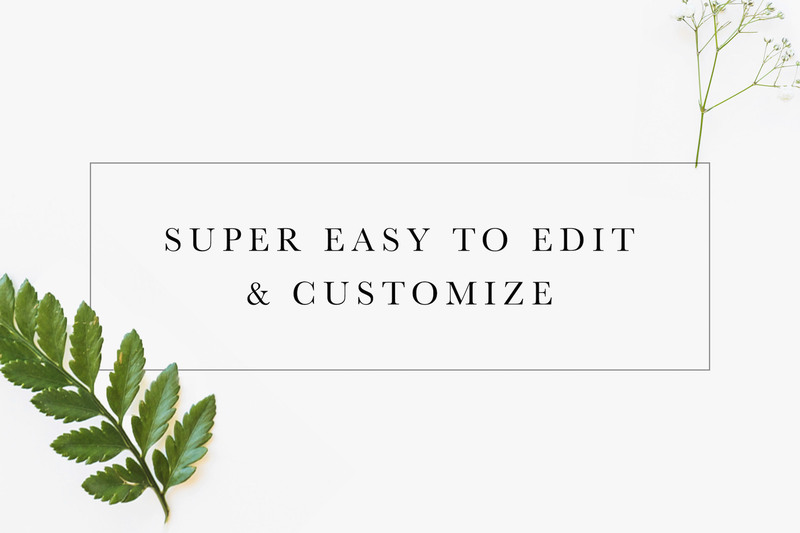 We've created 4 super easy to edit design variations for you. Simply insert your images & studio info and you're finished in under 2 mins! Gift cards, vouchers and gift certificates are a perfect way to allow clients to gift your photography to their friends & family. Designed for photographers with a modern style. Minimalist & classic. 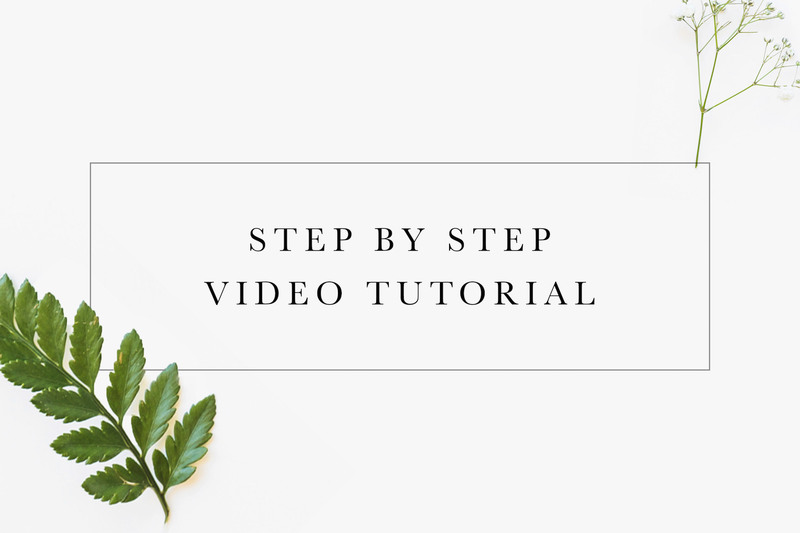 These templates are super easy to edit, and come with a free video walkthrough that shows you everything you need to know, step by step. Simply sub in your own studio name + contact info and you're ready to go! Customize every element of this gift certificate template to fit you perfectly. Whether you're a wedding photographer, family photographer, maternity, newborn, kids or senior portrait photographer! First impressions are everything - Beautiful branding templates make a huge difference. Not JUST a gift certificate! • Adobe PHOTOSHOP is REQUIRED for use - If you don't have photoshop, you CAN use the web app photopea instead! • Buyer MUST know how to INSTALL FONTS. NOTE - The template itself is for your own personal business only, and cannot be resold or shared. Reproduction or resale of the template (even after it has been tweaked by you) is strictly prohibited. This product is a digital file only.